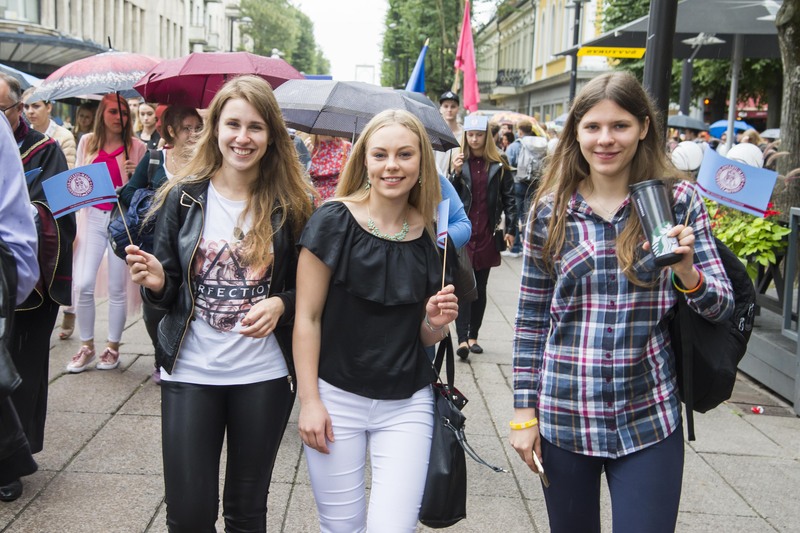 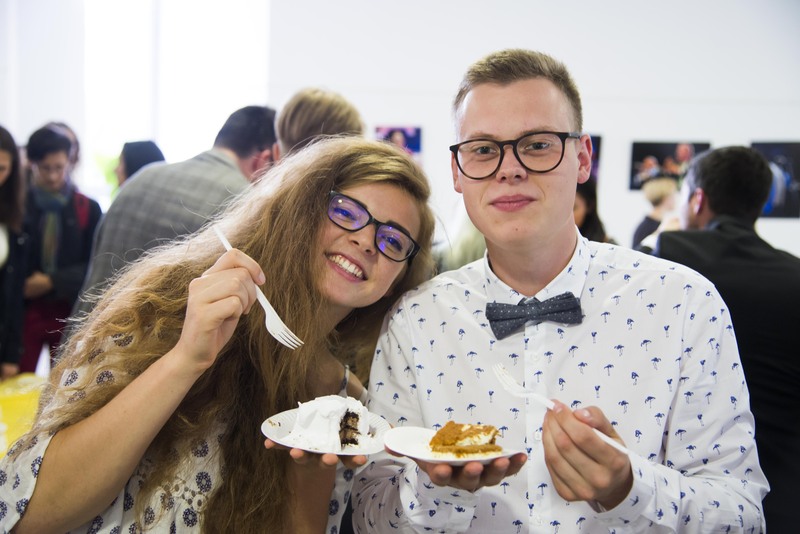 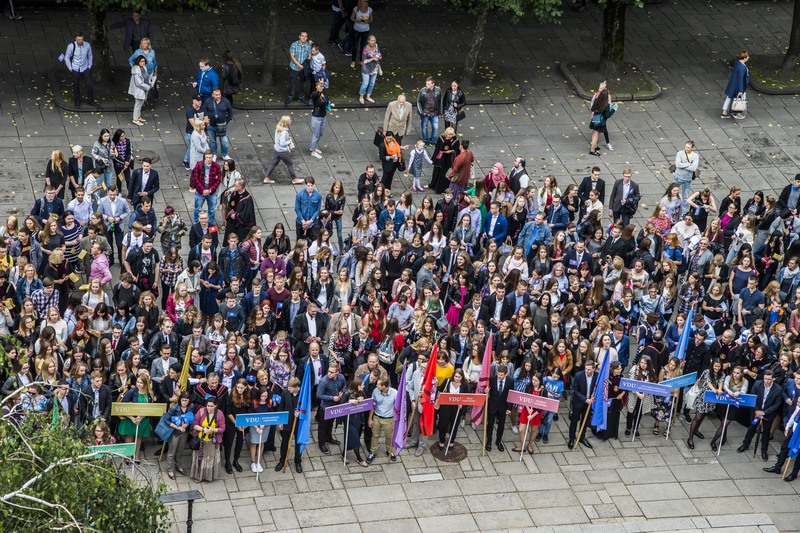 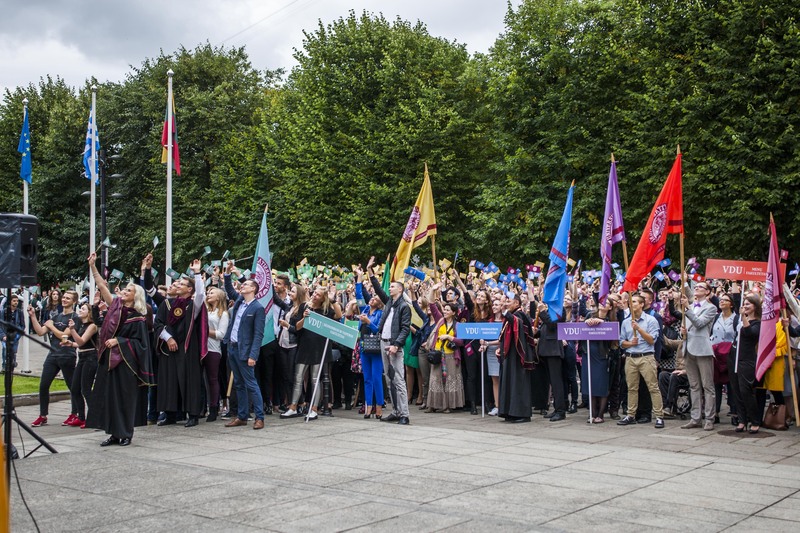 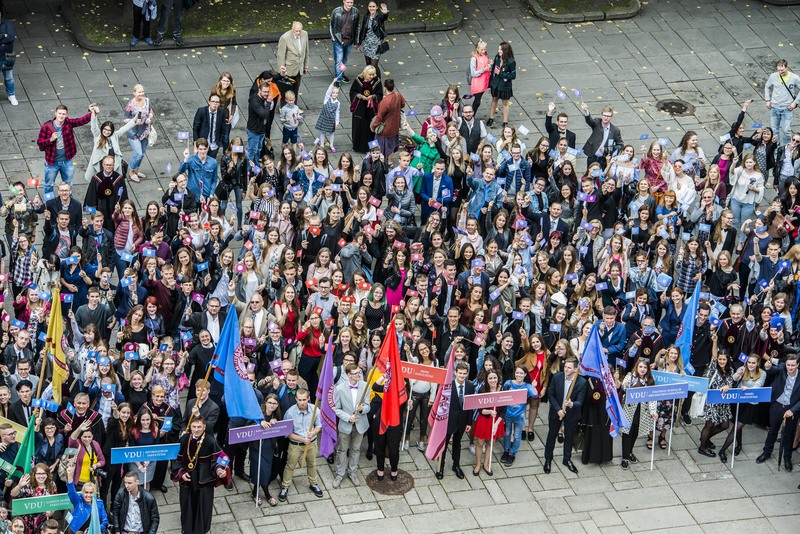 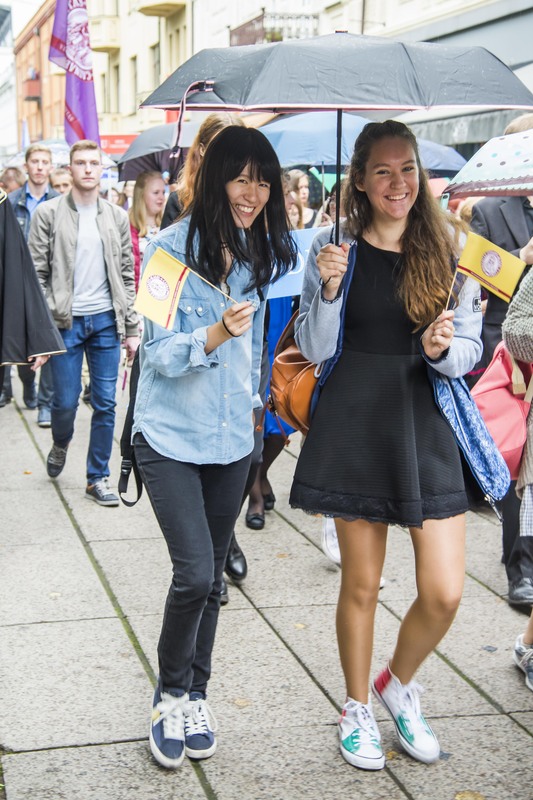 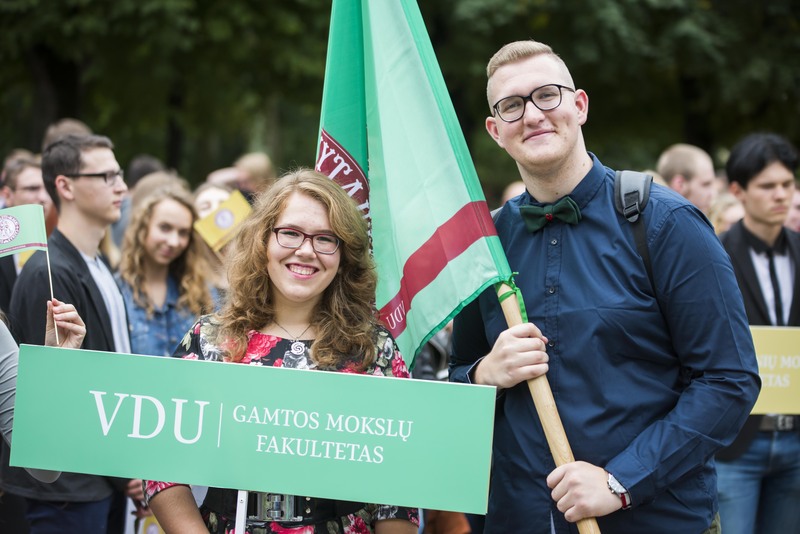 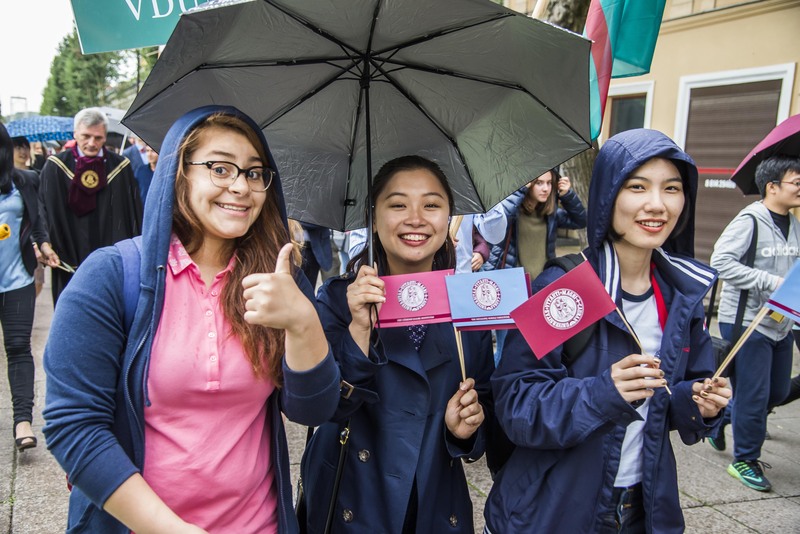 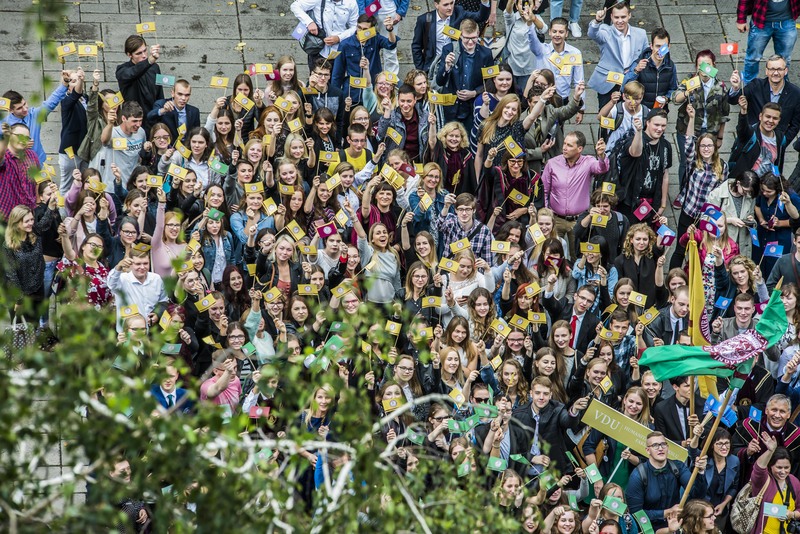 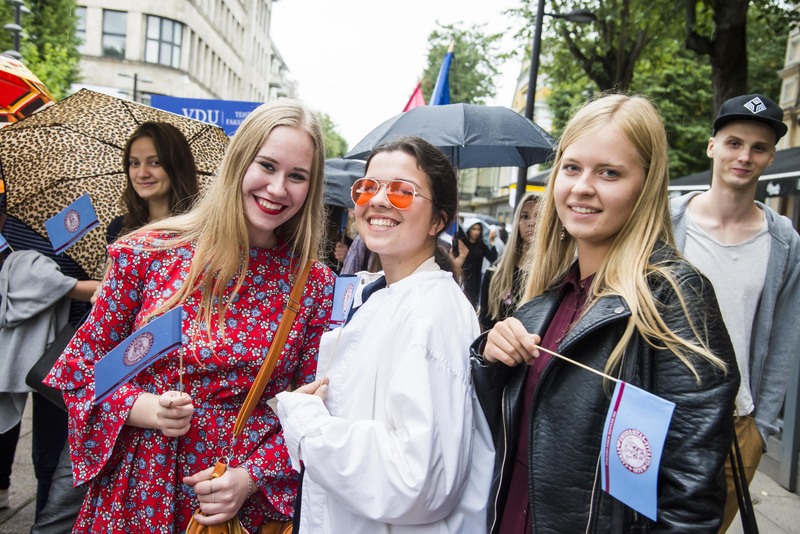 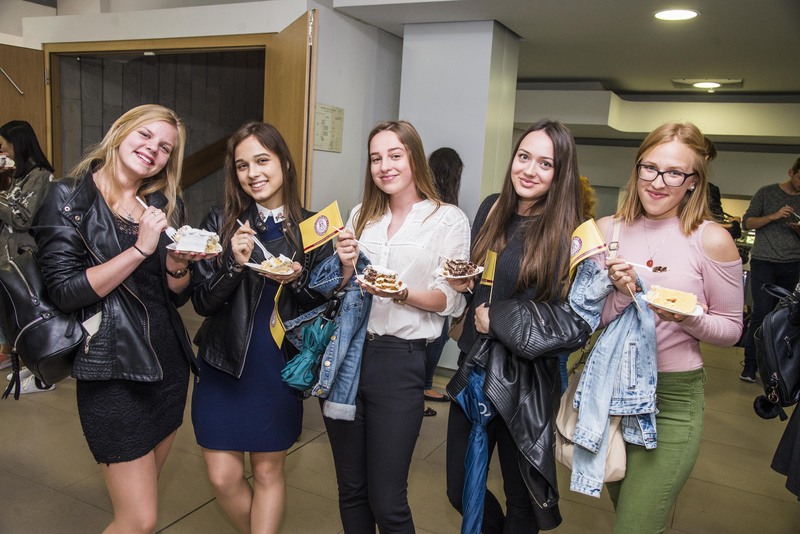 Vytautas Magnus University students, lecturers, and employees marked the beginning of the new academic year in the traditional festive celebration of September 1st. 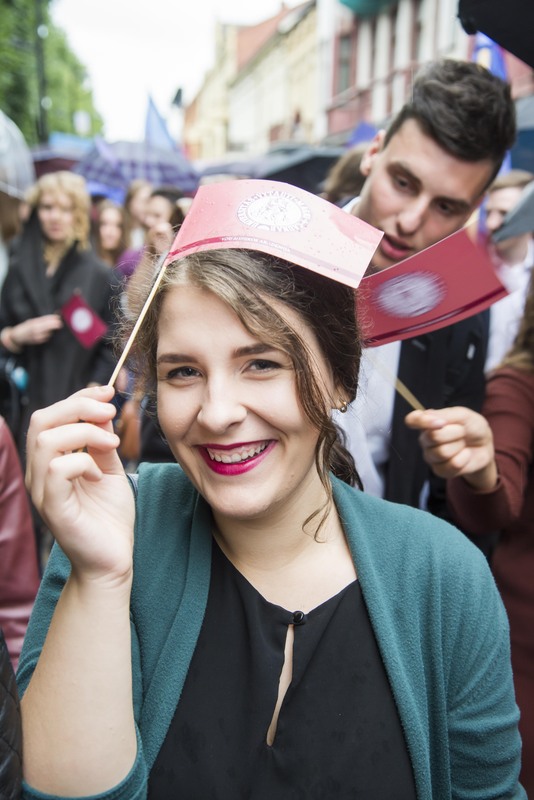 “Knowledge gets old quickly. 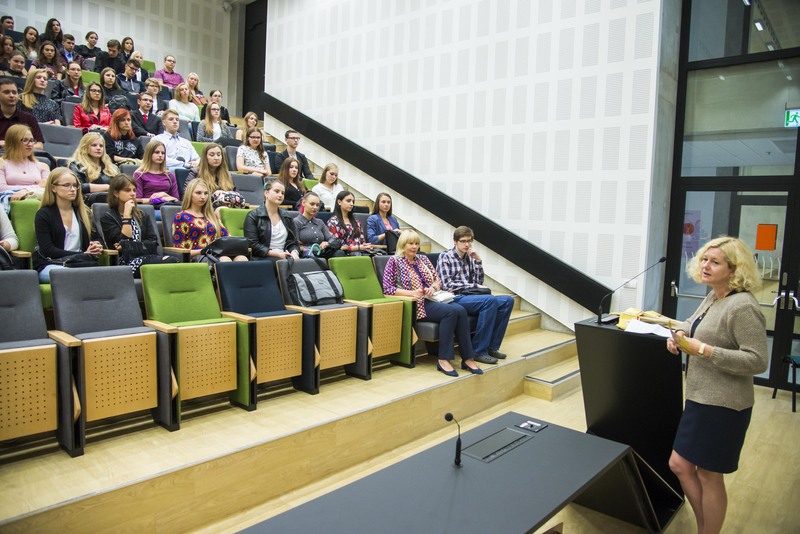 Gain an education. 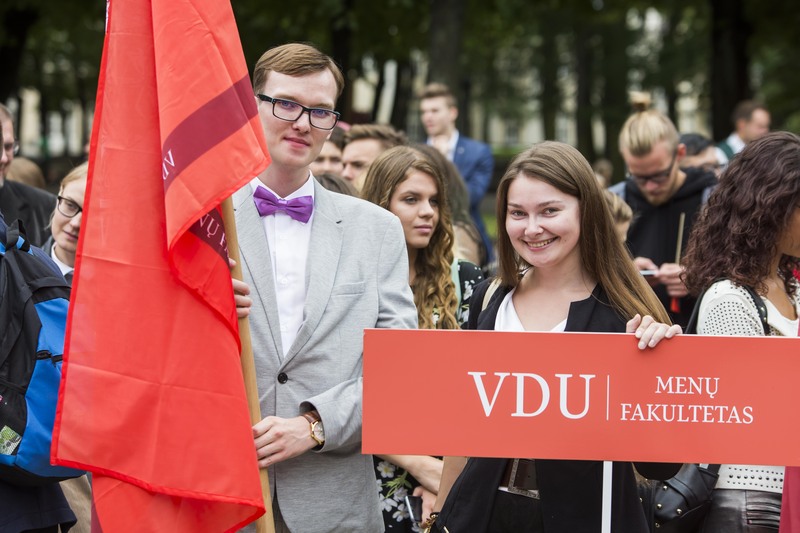 We used these words in the spring and summer to invite you to come to VMU. 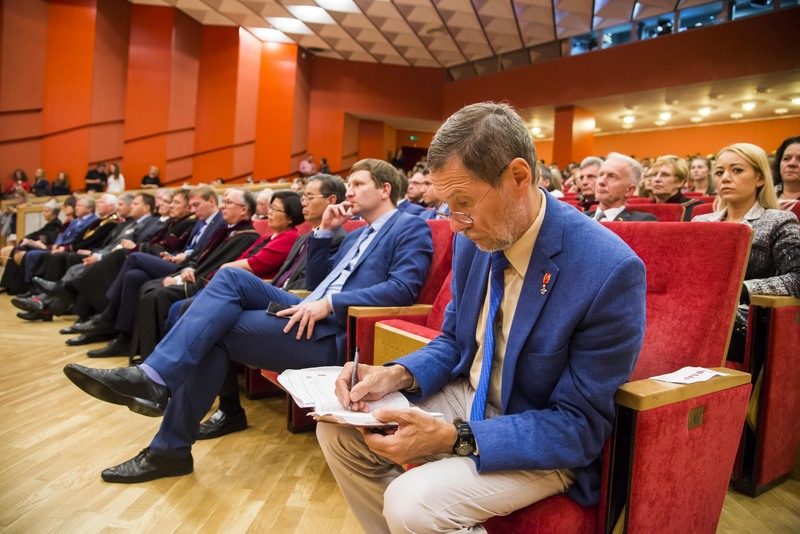 I would like to address you with the same words today as well, on September 1st, a special day to the community of science”, VMU Rector Prof. Juozas Augutis said in his festive speech. 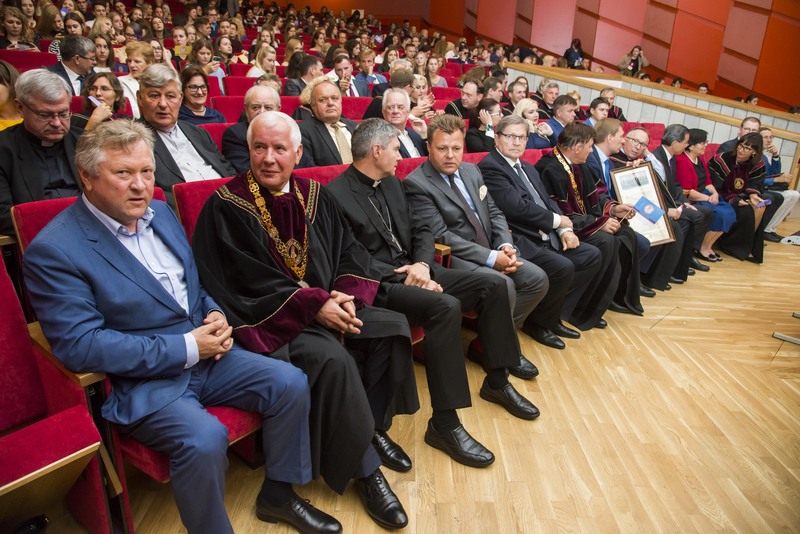 According to the Rector, the university is primarily a community of people who are learning. 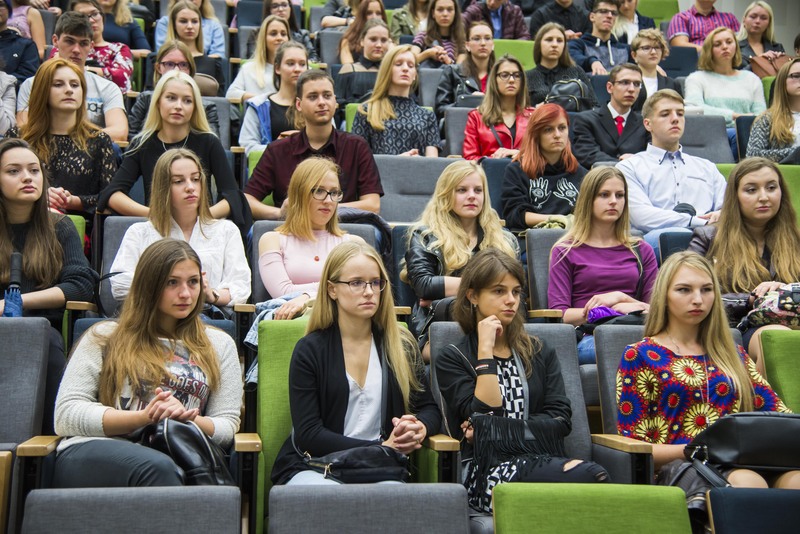 “Everyone, from student to lecturer, has to learn at the university, to create and share their knowledge. 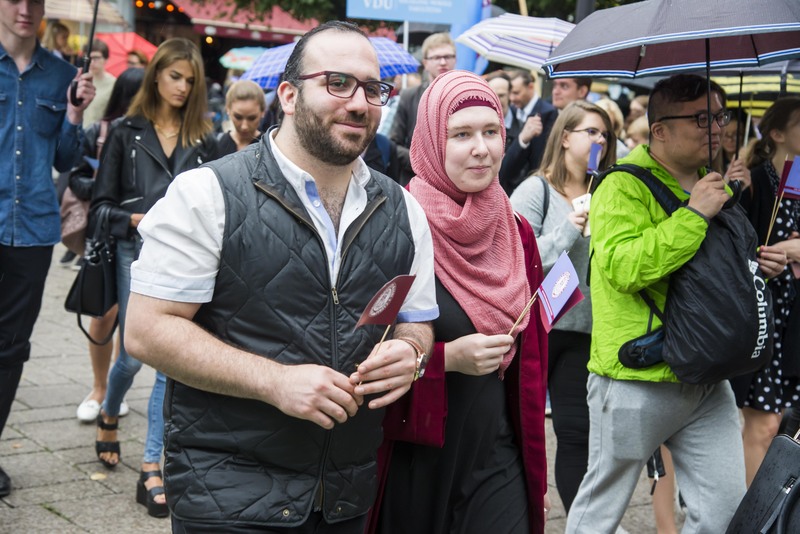 Being a part of this community is inseparable from active public life and understanding that change can emerge in any circle of engaged and enthusiastic people. 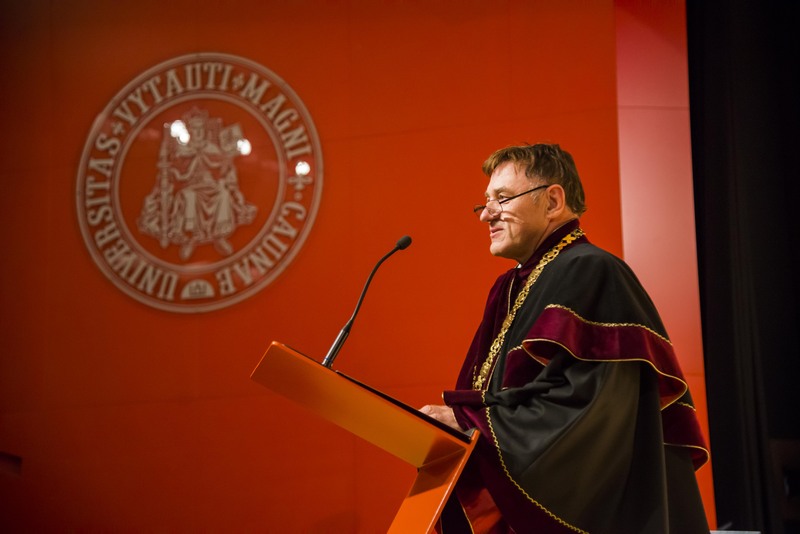 The belief that there is a different, better way of being should motivate each and every one of us”, Prof. Augutis explained. 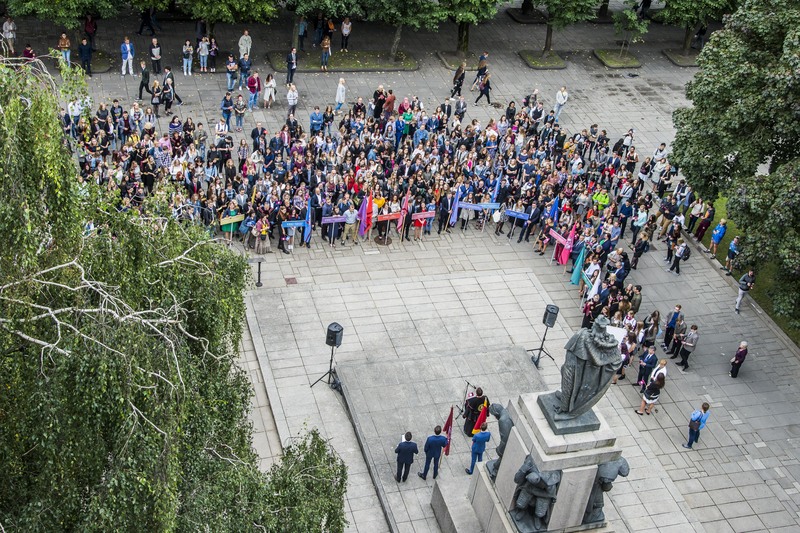 The festivities dedicated to the start of the new academic year focused on the open expression of independent ideas, which is important to the progress of the entire society and country. 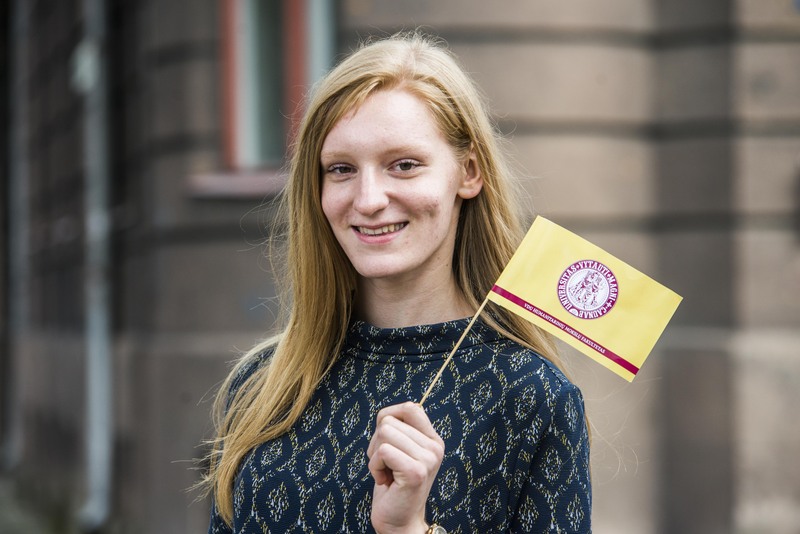 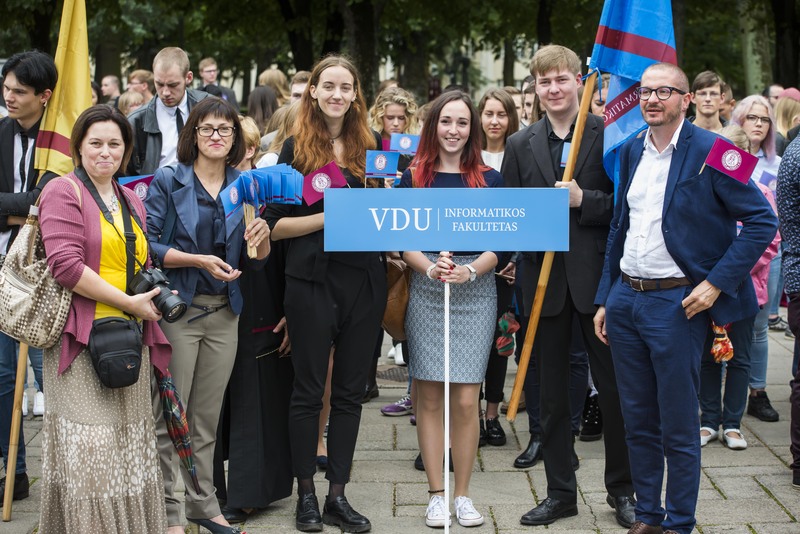 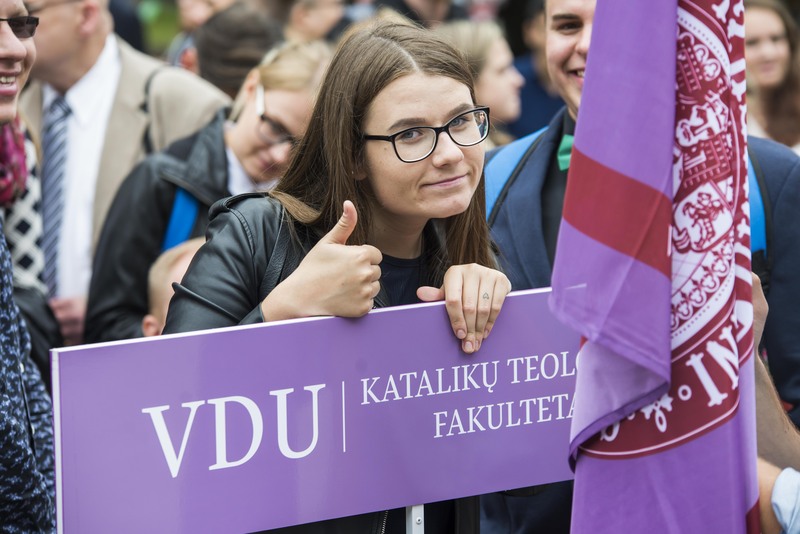 The first-year and international students were welcomed by the President of VMU Student Representative Council, Greta Šmaižytė, who encouraged them to be civic and active. 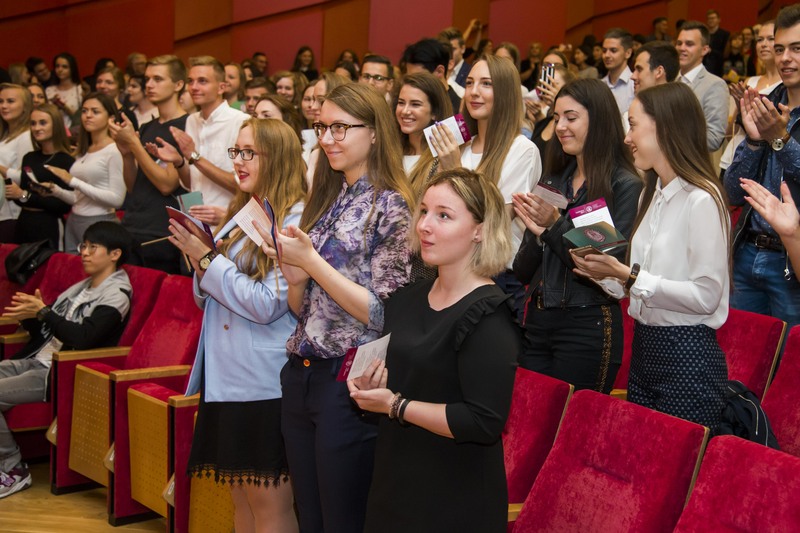 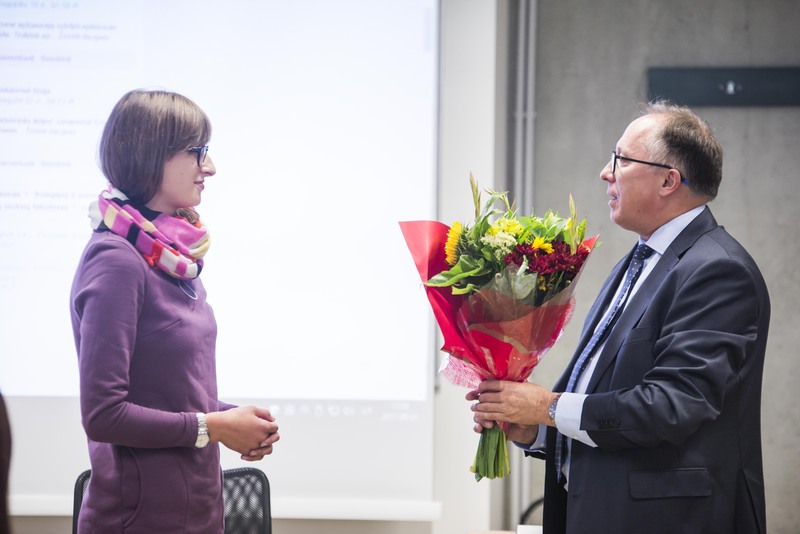 “Everyone’s opinion matters in this alma mater, so let us not be afraid to be heard and to share ideas: everyone is of value here”, – Šmaižytė told the students. 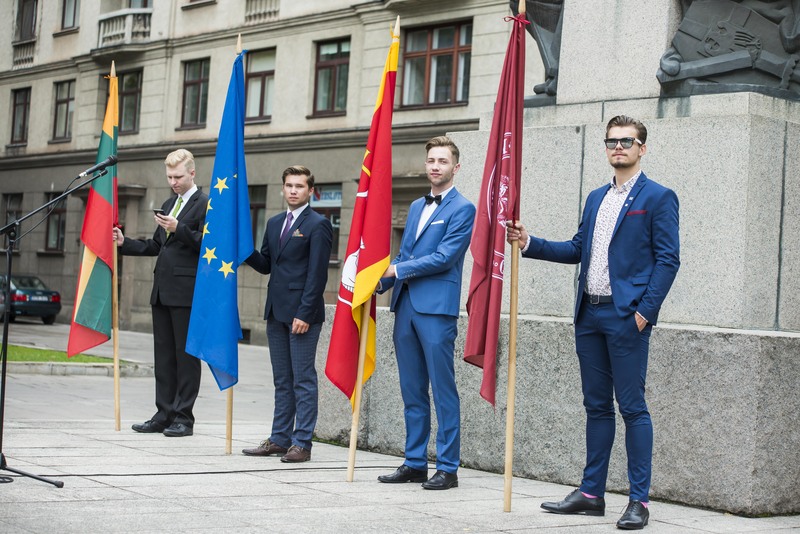 The President of VMU Student Representative Council underlined that this university provides a choice: which door to open, which dream to fulfil, and which direction to take. 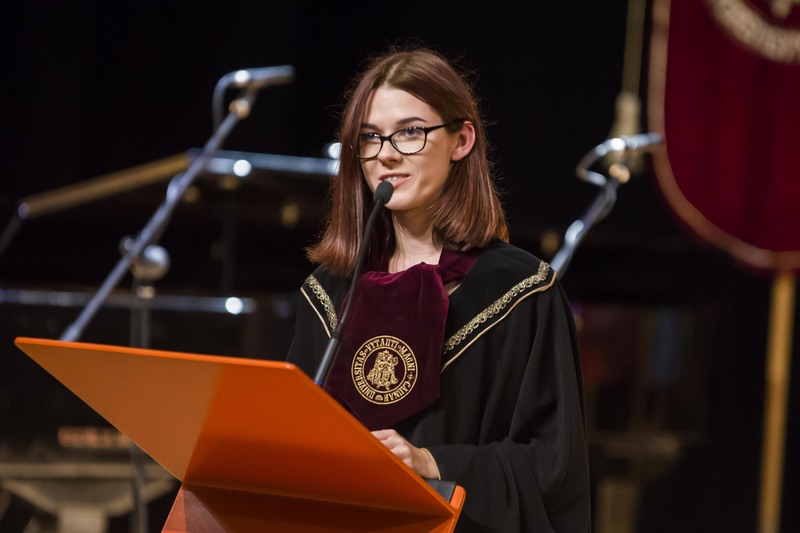 “May you find your own way, and never fear to correct your course if you make a mistake. 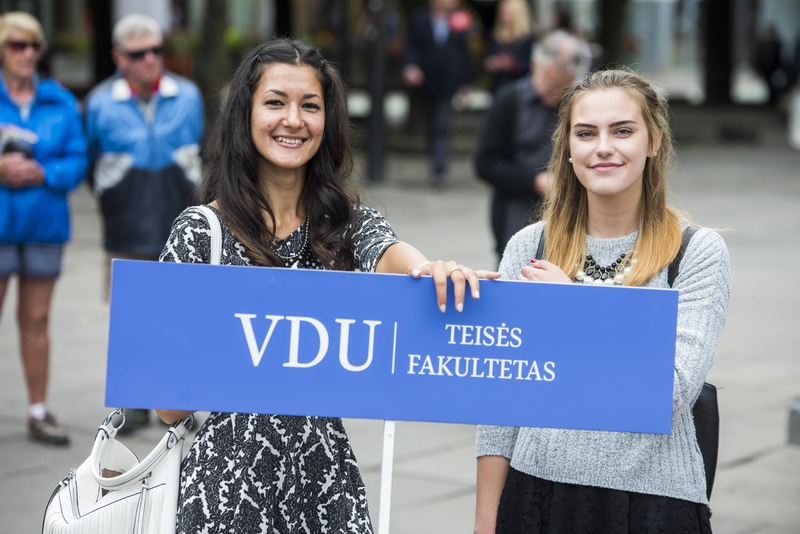 If you ever need a hand, we are always there. 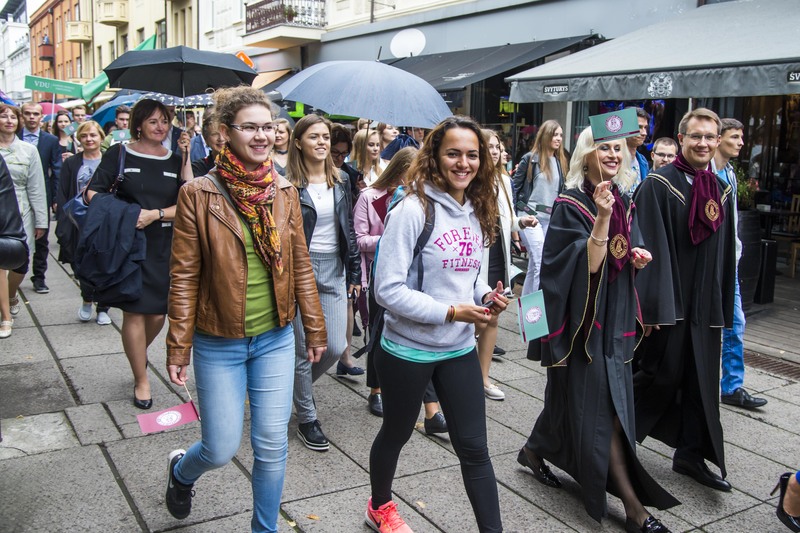 Because the university is a family”, Šmaižytė said. 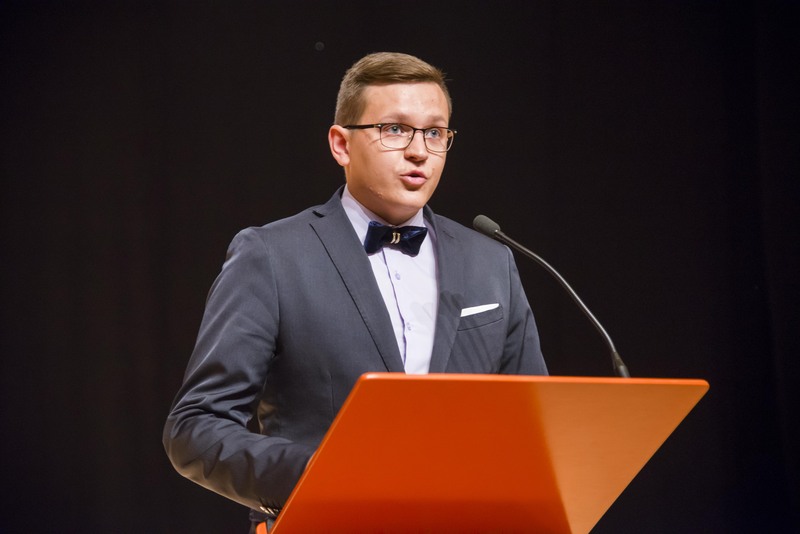 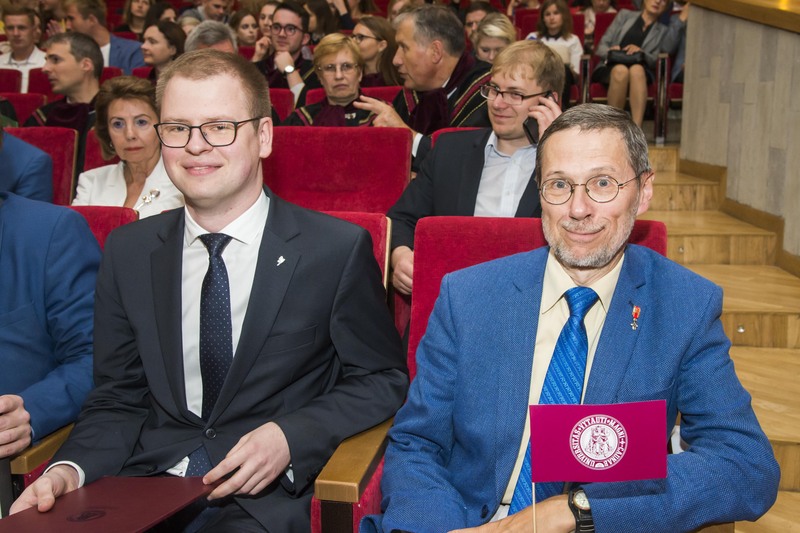 Graduate of VMU Faculty of Economics and Management, Versli Lietuva Project Manager Martynas Prievelis, also discussed the communal spirit of the studies and the ability of finding one’s own path in this environment. 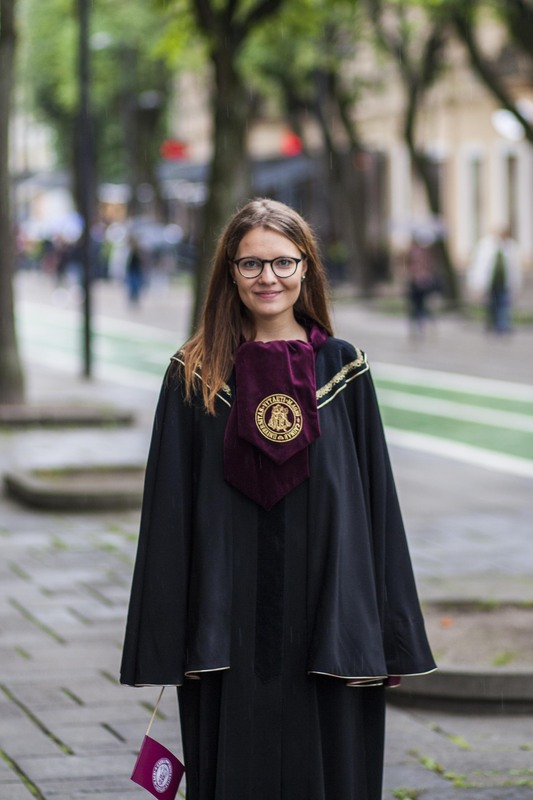 “At the beginning of my studies, I did not realize how much this university can give you, as a nurturer of personalities and specialists who have a wide perspective of the world”, the graduate elaborated. 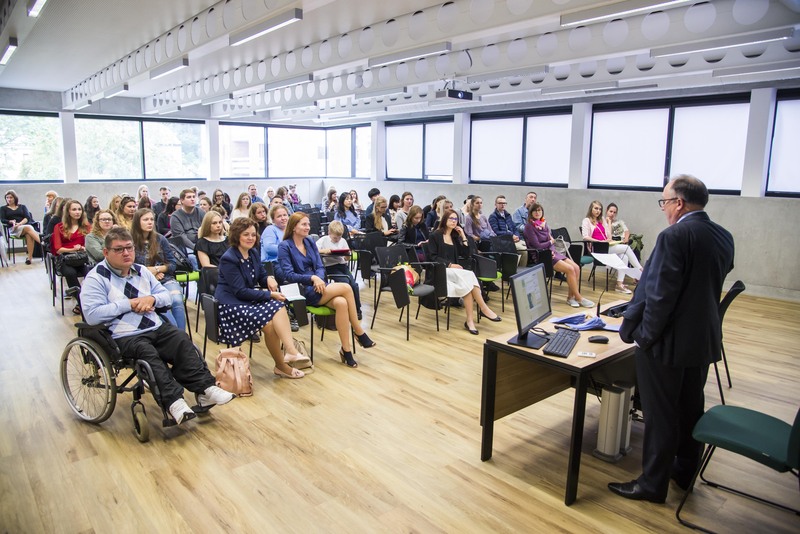 Versli Lietuva’s project manager urged the students to not be afraid of challenges, aim as high as possible, make use of the interdisciplinary, wide-ranging educational environment at this university, and contribute to the development of a modern country and open society. 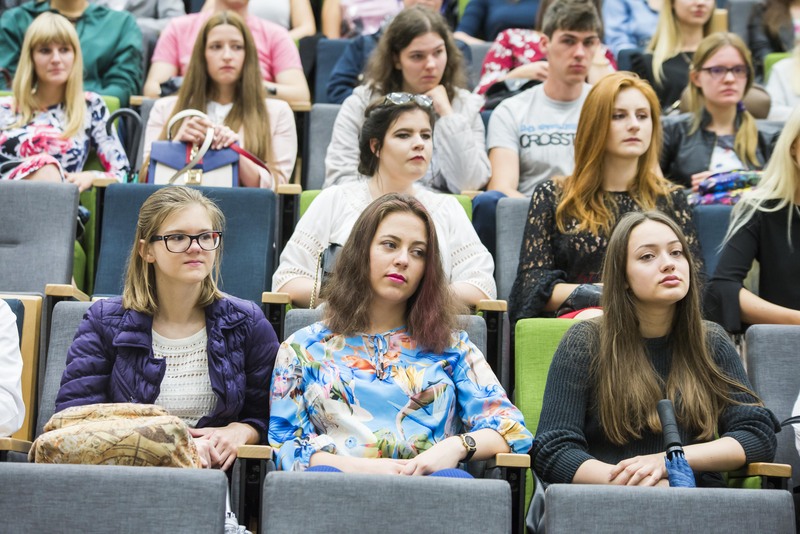 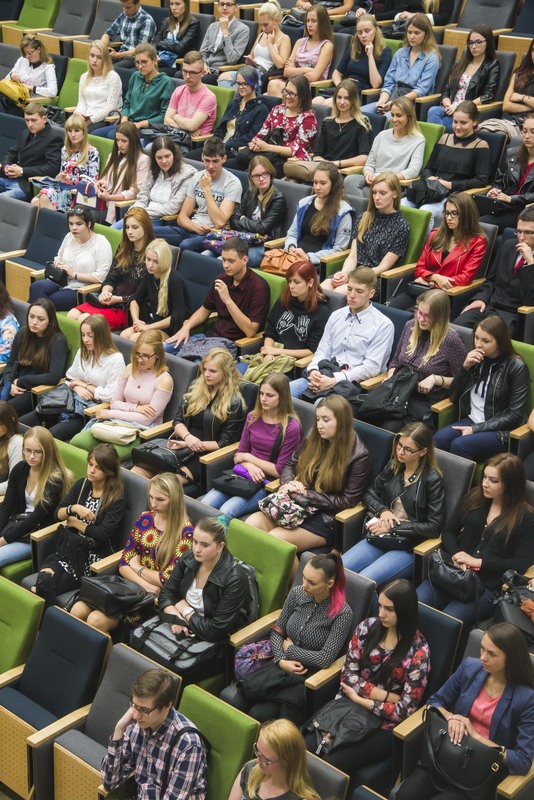 According to the VMU Rector, there is no one truth at the university: it is a place for exchange of views where the student and the lecturer are partners. 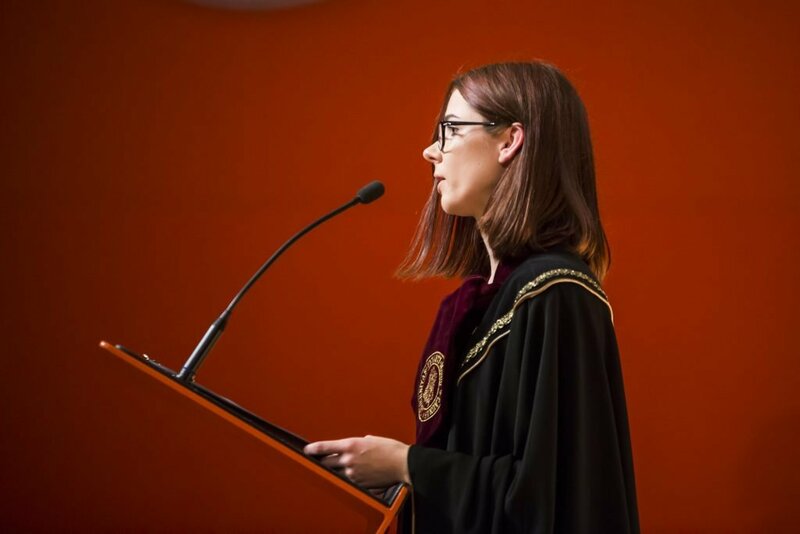 “I would like to believe that the university is also a community of explorers who value discovery and come up with unexpected ideas — they may seem utopian at first glance, but it is the only path towards change and progress”, Prof. Augutis said. 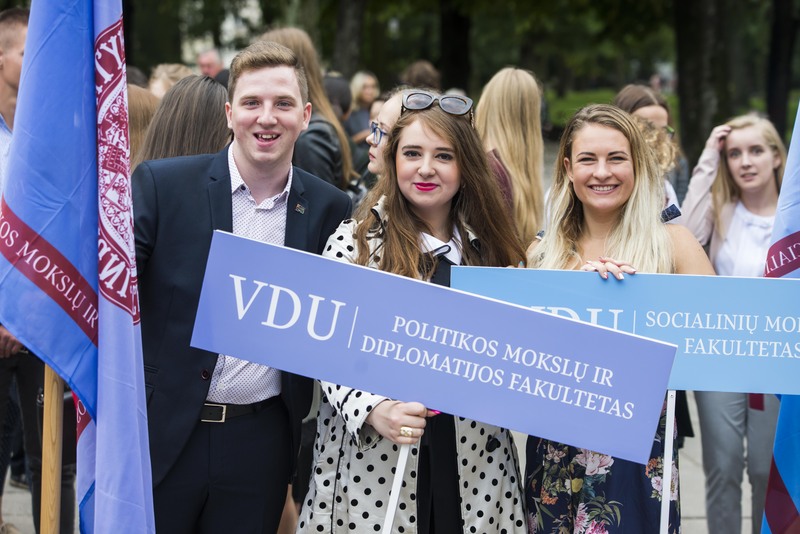 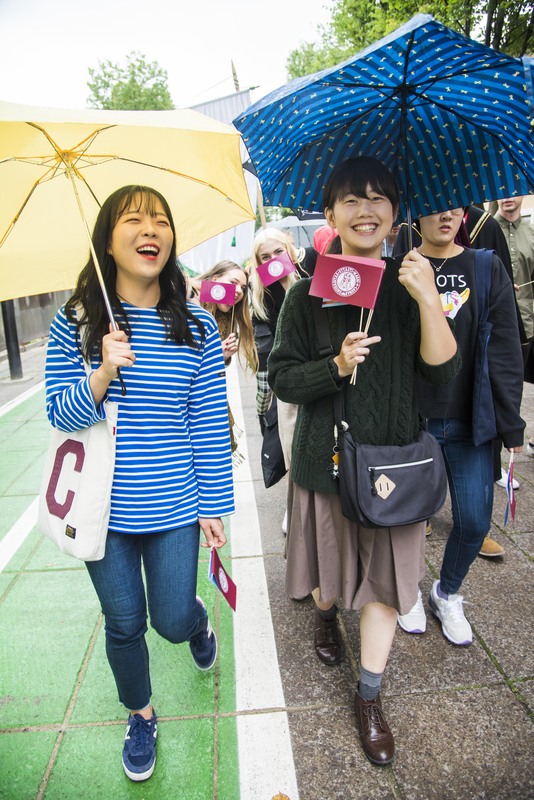 Like every year, this September VMU has been once again joined by international students who chose BA and MA studies here or came as participants of exchange programs. 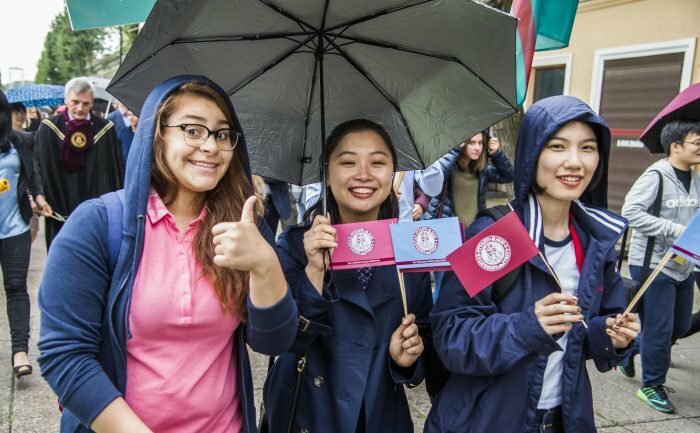 This time, over 600 students from 60 foreign countries will start the new academic year at VMU. 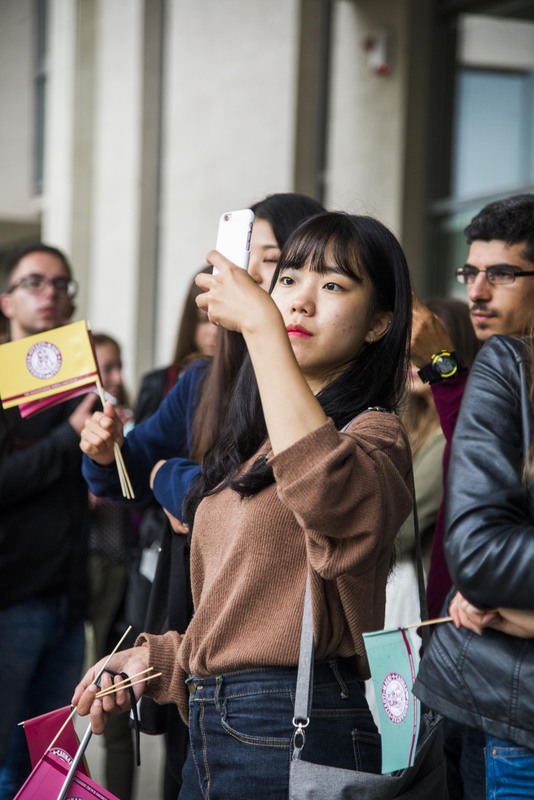 “This is yet another advantage of universities: the opportunity to interact with the entire world, to discover languages and cultures right here, at the university. 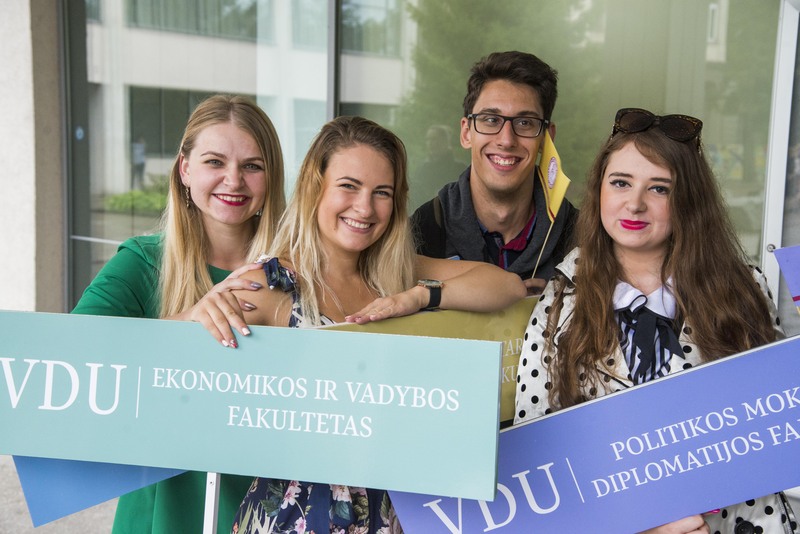 Brazil, Canada, China, France, Ghana, Great Britain, Italy, Japan, Mexico, South Korea, the Ukraine and the USA – these are just a few countries whose citizens chose studies at VMU”, the university’s rector pointed out. 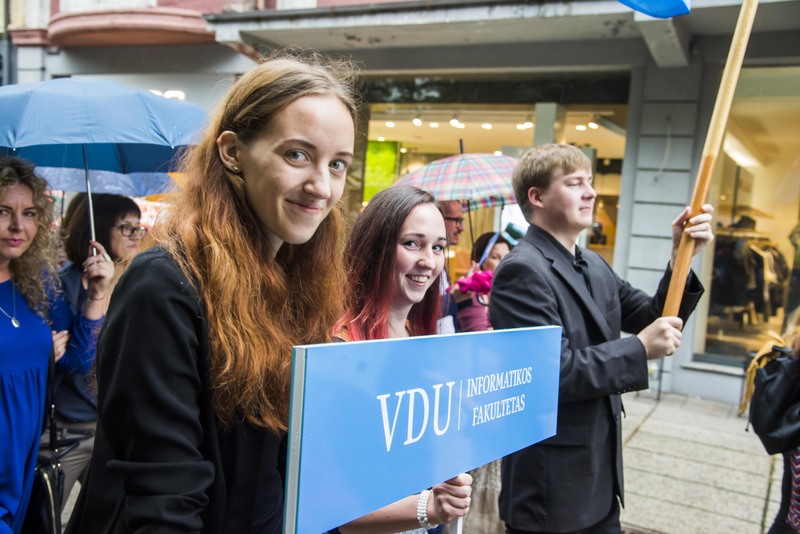 Currently, almost 10 percent of all VMU students are from foreign countries. 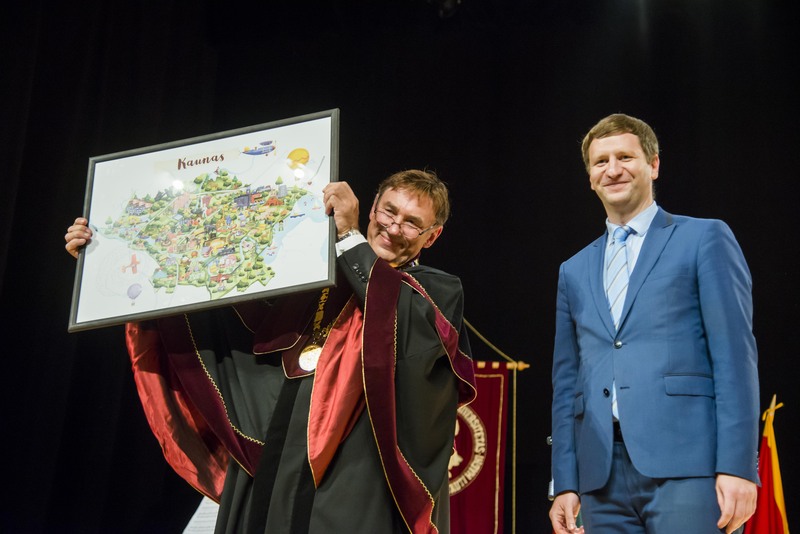 Simonas Kairys, the Vice-Mayor of Kaunas City and graduate of VMU Faculty of Political Science and Diplomacy, congratulated the international students for choosing Kaunas and introduced a new word, kaunastic, which combines the city’s name with fantastic to describe it. 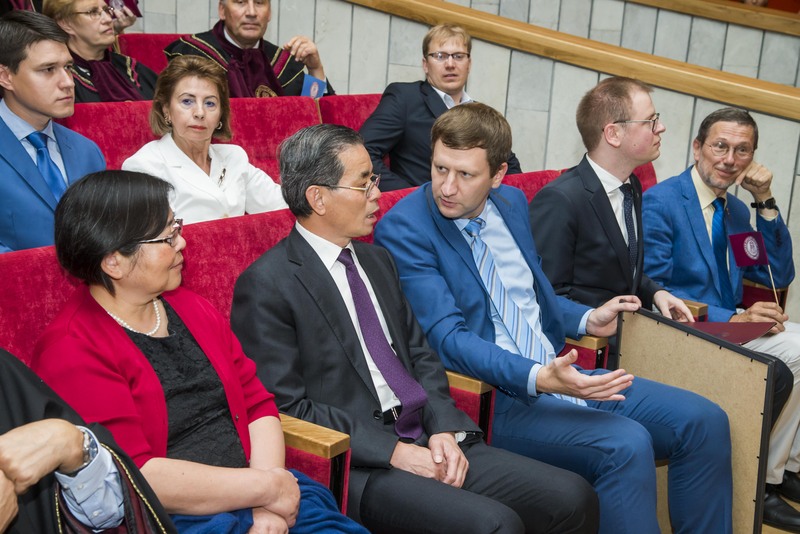 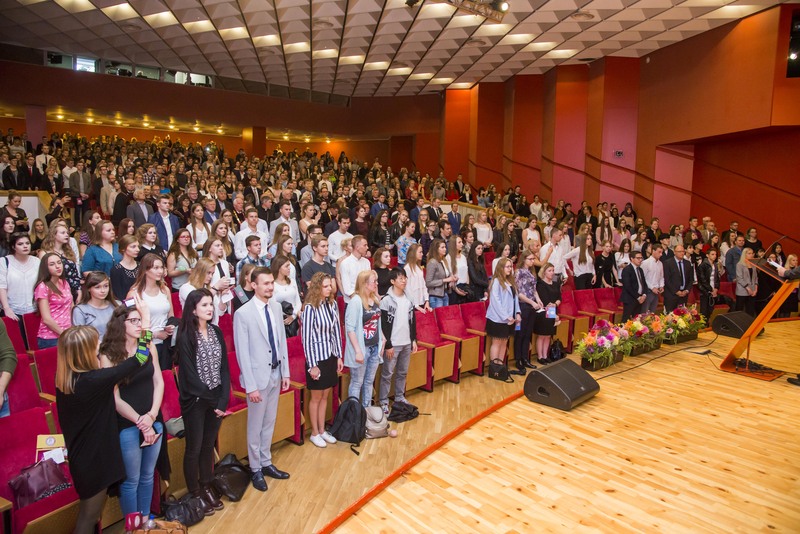 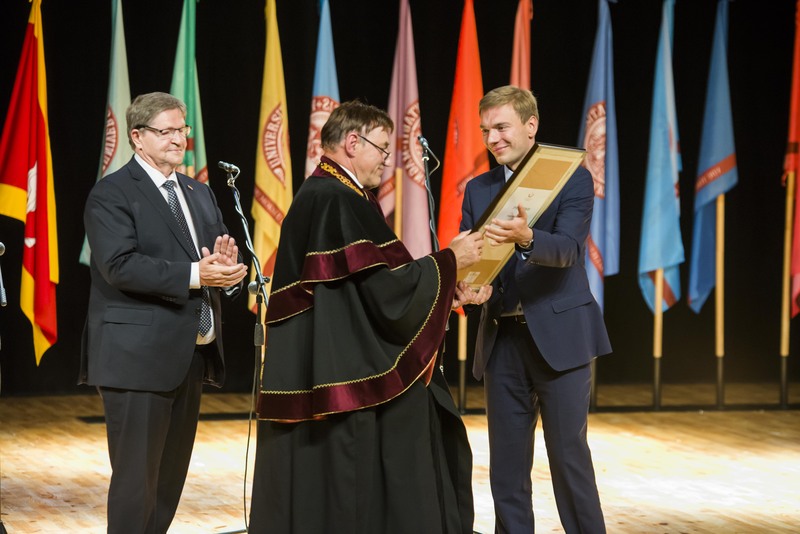 The vice-mayor remembered the time of his studies at VMU and urged all students to make meaningful use of their academic year and the university environment, as it is a great place for expanding your circle of friends and social capital. 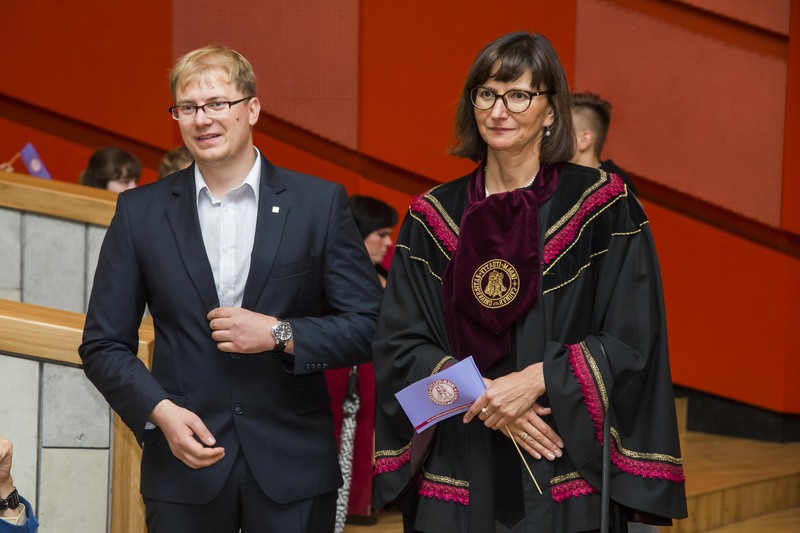 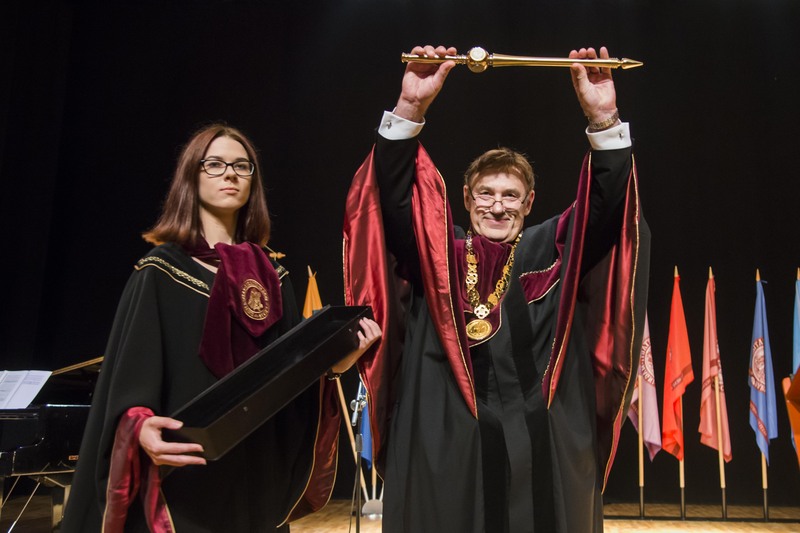 “You have to understand that the most important possibilities provided by the university include not just knowledge but also the chance to find peers and colleagues who could become your partners in social activities or business”, Vice-Mayor of Kaunas, VMU graduate Simonas Kairys explained. 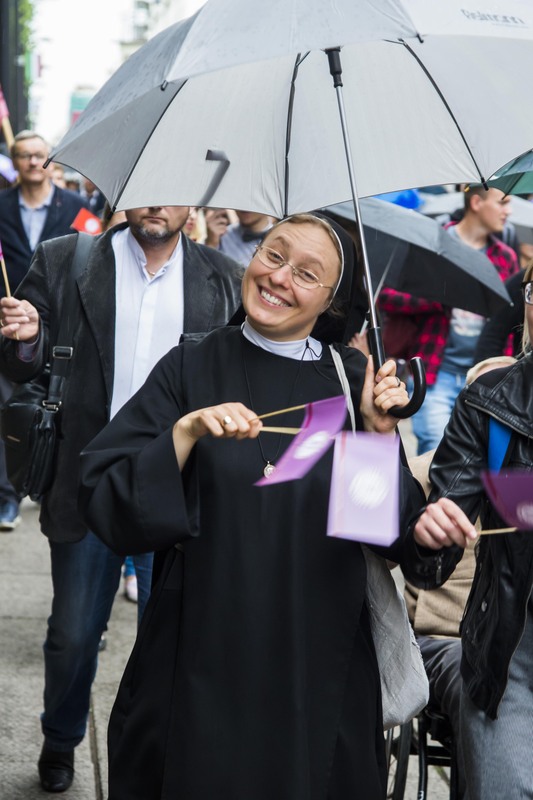 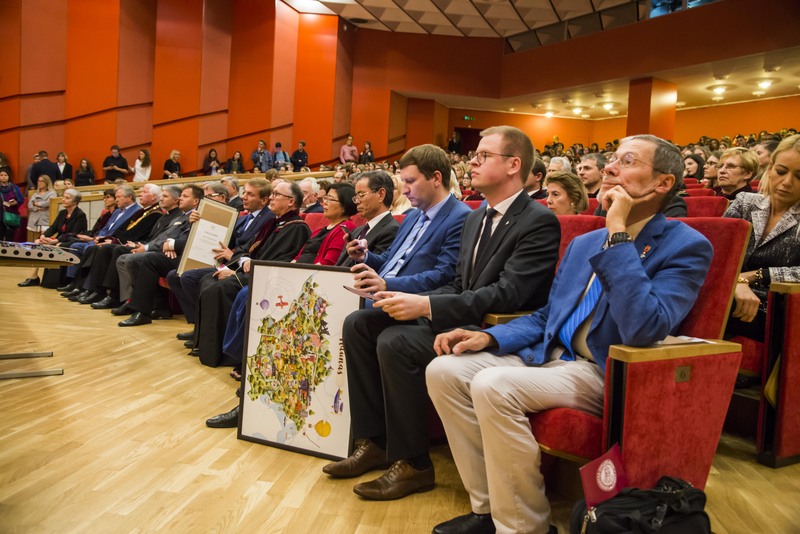 As usual, the events of September 1st commenced with the Holy Mass for the communities of Kaunas universities at the Kaunas Cathedral Basilica. 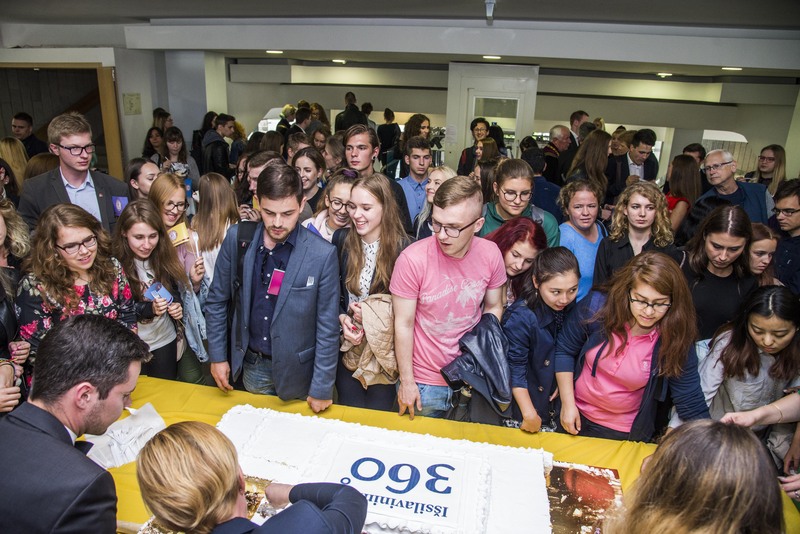 Later the first-year students attended festive meetings with faculty communities: deans, lecturers, and students. 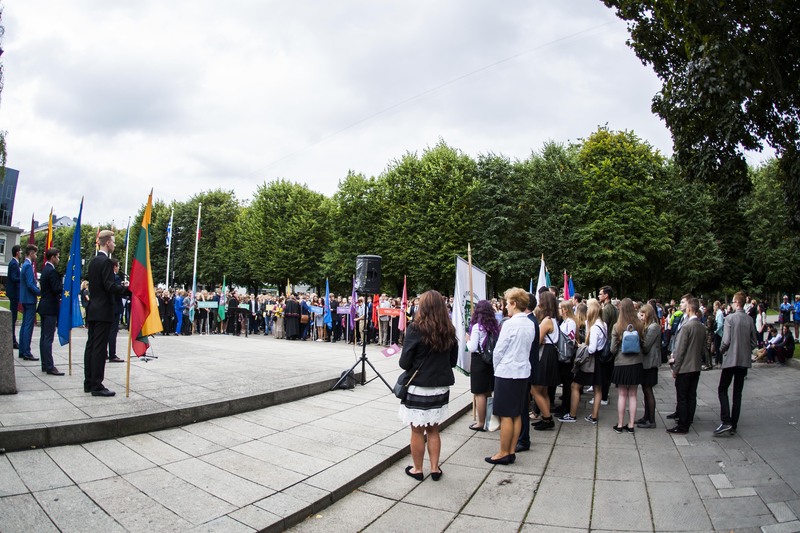 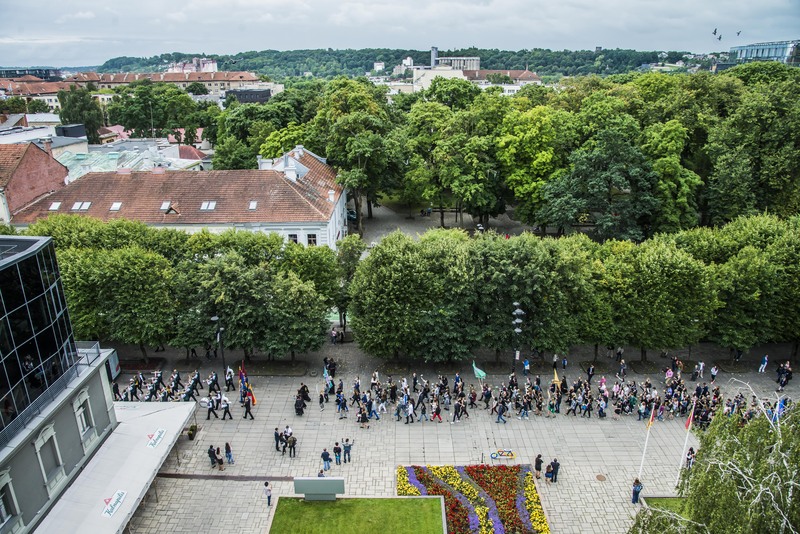 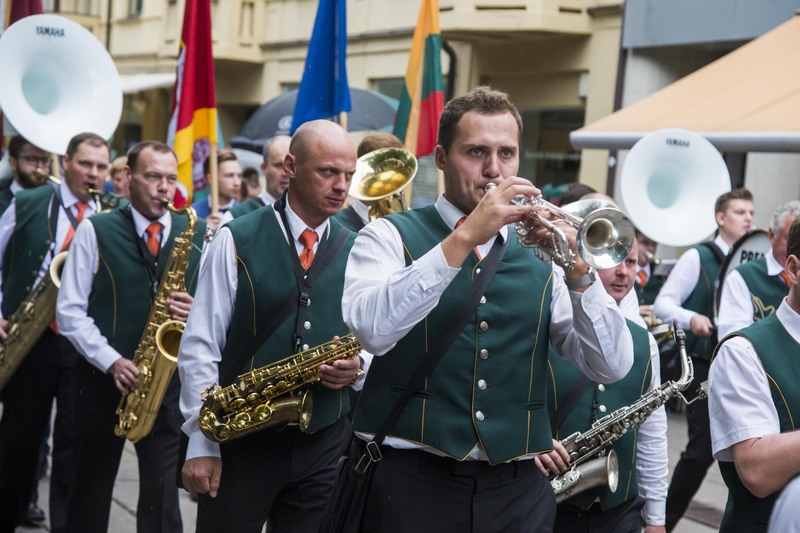 The festivities continued at the Monument to Vytautas the Great, where the university’s community gathered to listen to speeches, posed for a group photo, and began the procession to VMU Great Hall together with the Kaunas City brass orchestra “Ąžuolynas”. 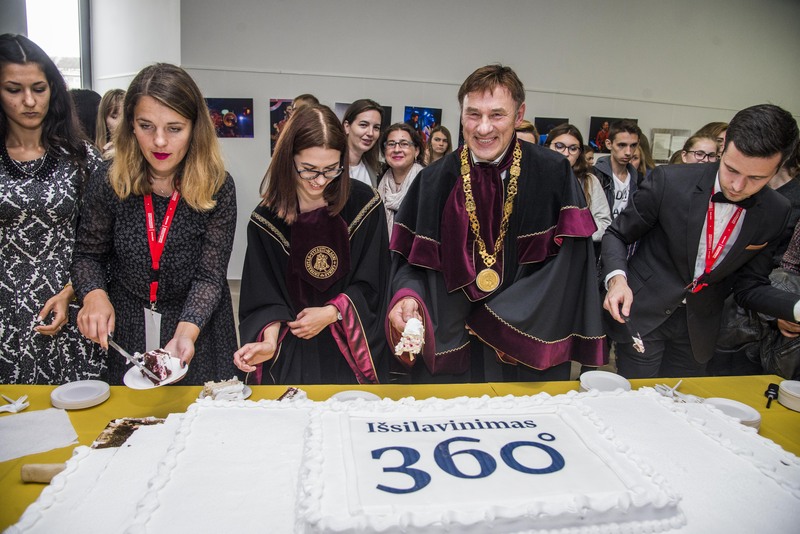 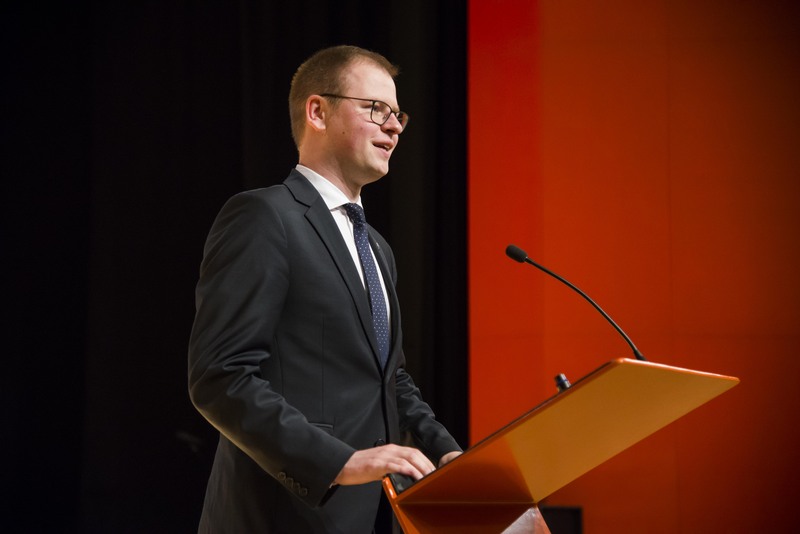 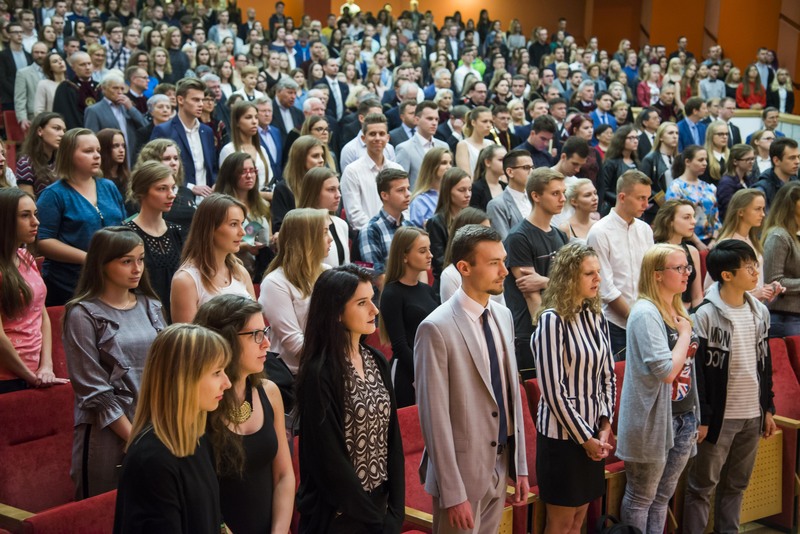 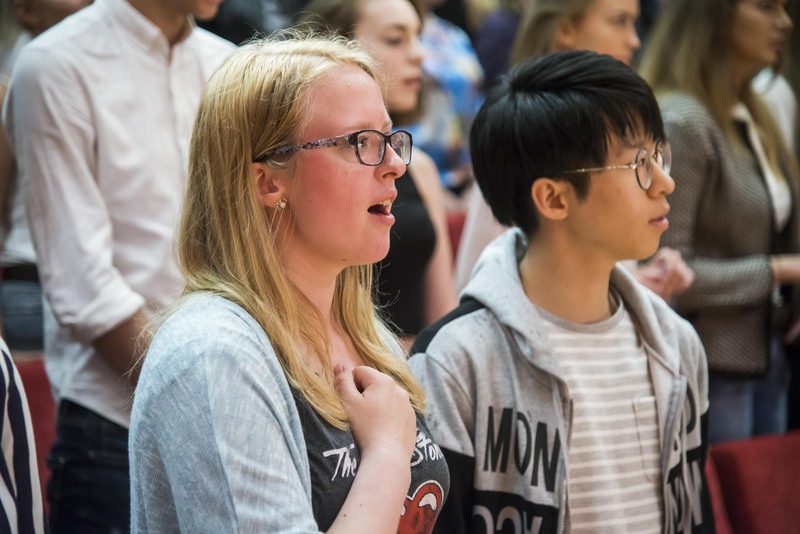 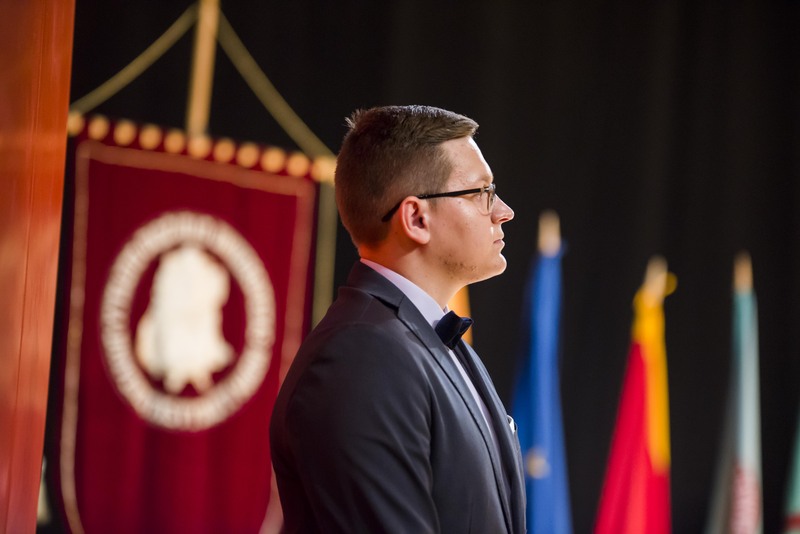 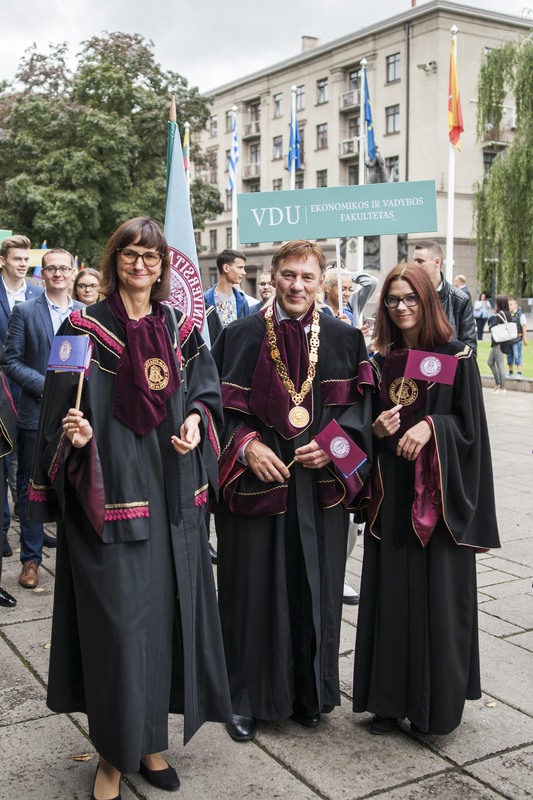 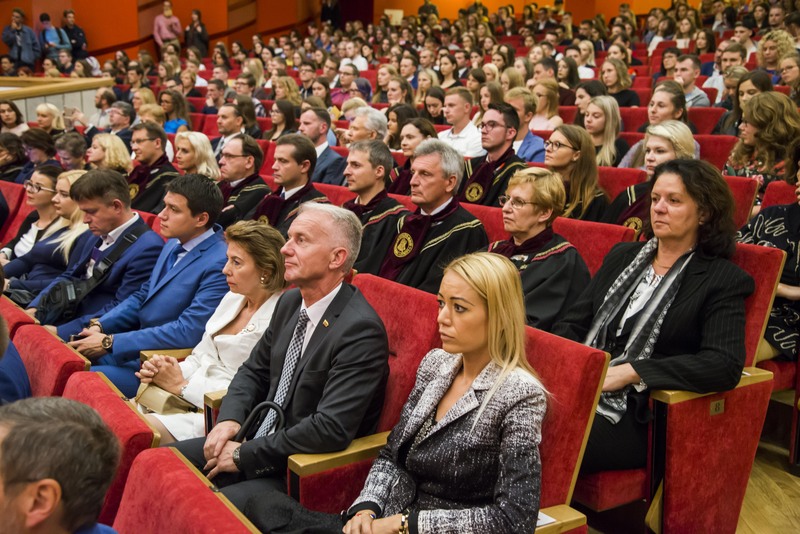 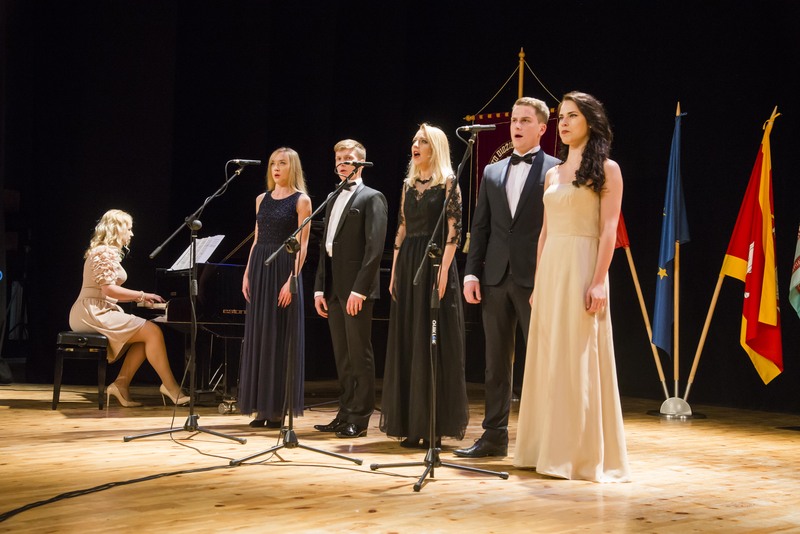 The university’s community and guests all came together at the VMU Great Hall, where they sang the national Lithuanian anthem and Gaudeamus Igitur. 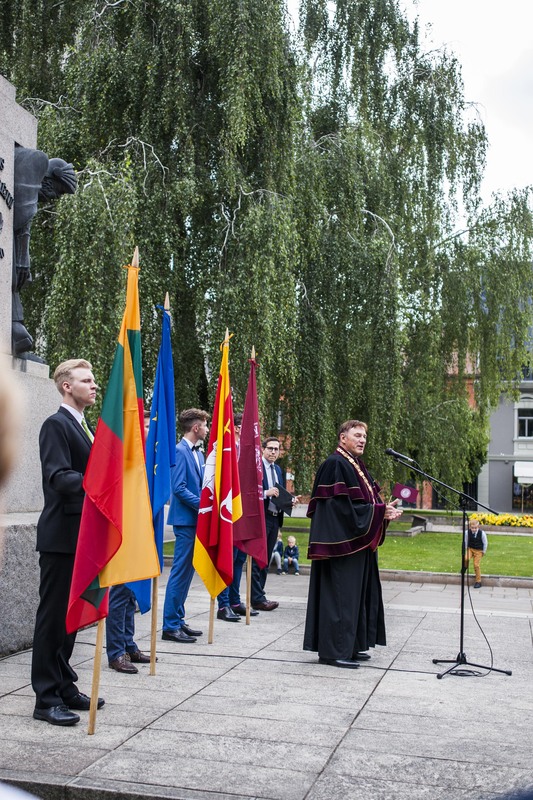 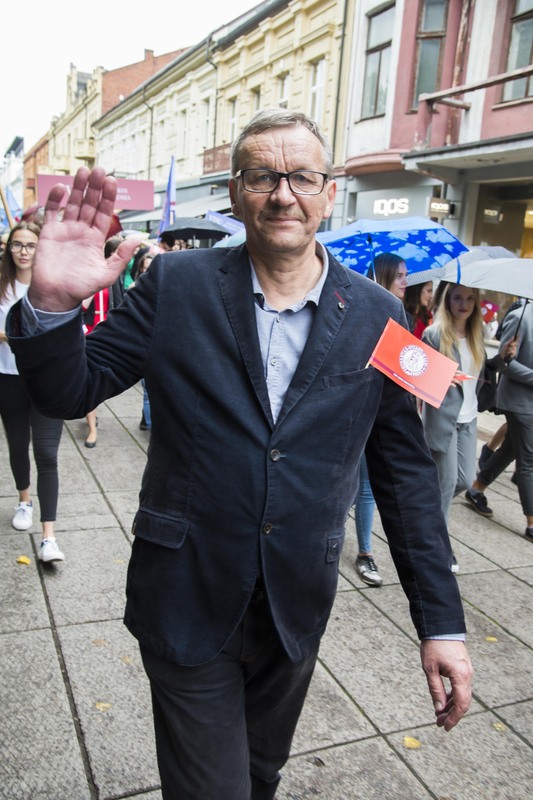 VMU Rector Prof. Juozas Augutis congratulated everyone and the freshmen took their oath. 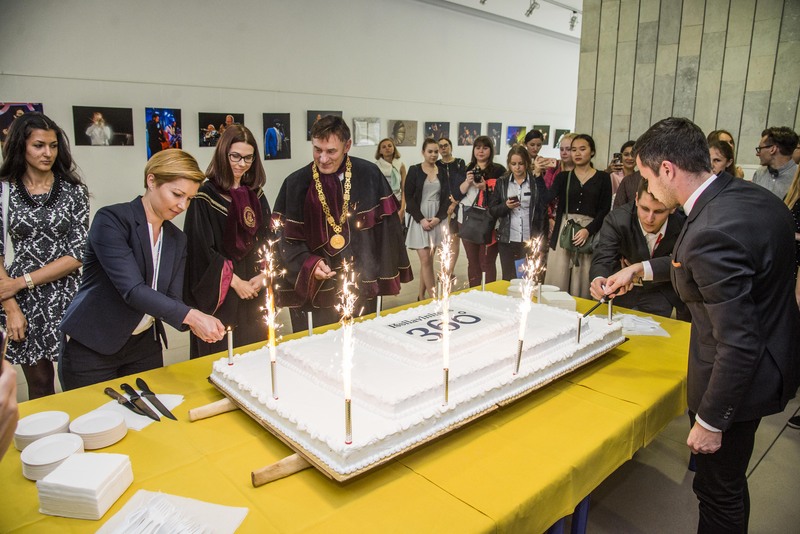 The final highlight was, traditionally, the university’s festive cake.